It appears that developers out there are hard at work tinkering with Apple latest toy and its new Siri voice assistant feature to get Siri to do things she/he wasn’t supposed to do and the latest little bit of Siri hacking has delivered the ability for one developer to start and stop the engine of his vehicle, and there’s video evidence of it in action. 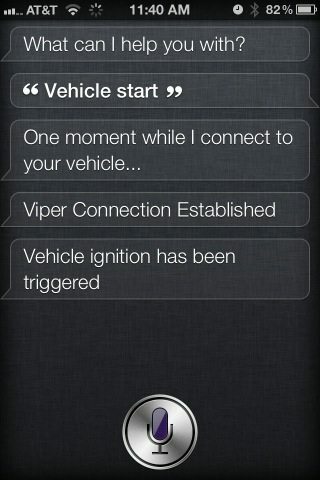 The Siri — “Start my car” — with my Acura TL video footage comes our way courtesy of the guys over at The Next Web and by way of Fiquett.com, and does indeed show that the iPhone 4S Siri voice assistant can start a vehicle. Apparently though getting the iOS voice assistant to start your car does require some serious hacking with the developer writing a “Siri Proxy” plugin to handle the interaction with a php script which runs on a web server, you can check out how the developer accomplished it all by hitting up his blog. Have to say though that unless you are somewhat on the lazy side and really can’t be bother to slip that key into the ignition, I don’t really see much point in getting Siri to star the car for you, unless of course you are robbing a bank on your own and need to start your getaway car before running out of the bank. Anyway, enough said, I’ll leave you to make your way down below and hit that play button to check out Siri starting an Acura TL…enjoy.